For your part in Paths of Storytelling, what was your goal? EDDY: My job was to help the writers come up with something appropriately cheesy yet plausibly accurate, and then stitch all the threads together into one manuscript. I also wrote the first and last sections. KELLEY: I was so excited to be asked to take part in the time-honored April 1st project for White Wolf. I read Chuck Wendig’s Dudes of Legend in draft form last year, and listened to critical editing discussions about the charms in Scroll of Swallowed Darkness the year before that. I was both awed and jealous of the people who were tapped for this special release. Happily, a ‘bucket list’ item on my life list can now be marked as done. My goal with this writing assignment was to embrace the surface stereotype of the Toreador clan and roll with it and in it. Rose Motif? Check. The impossibly beautiful vampire that everyone stares at and wants? Check. Melodrama? Lots of conversation? Check again. I even tried to incorporate fallen-out-of-use vocabulary to add that feeling of grandiose self-importance – like quellazaire – but thankfully slightly over the top tendency was reigned in. JESS: I was thrilled to have been given the Malkavian portion of the Paths of Storytelling project. 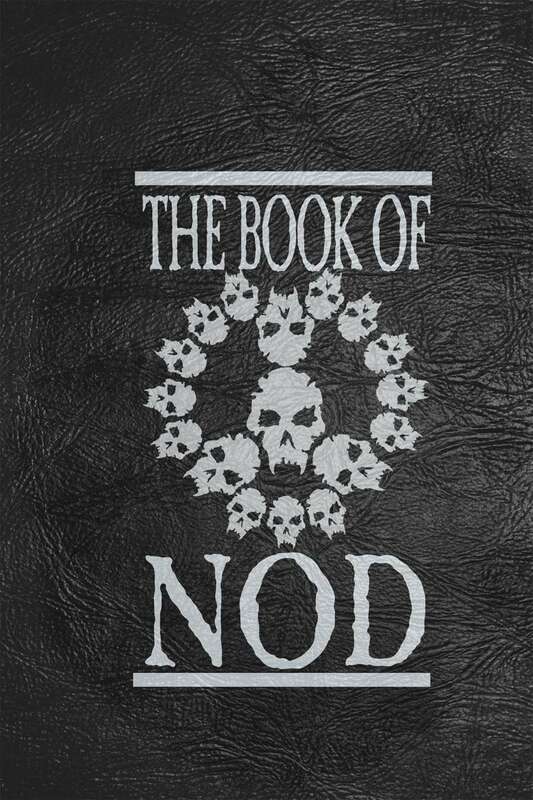 One of my pet peeves throughout my experience with the World of Darkness is the mistaken perception that insanity (intrinsic in the portrayal of this clan) is goofy or amusing. Anyone who’s actually dealt with someone with a vastly different perception of reality knows that it’s not funny or silly. At its best, it’s confusing and challenging. At its worst, it’s heart-breaking and terrifying. I really wanted to represent that, in the Malkavian Paths of Storytelling section. MONICA: When I was asked to do the project, I couldn’t stop bouncing for weeks. Before I wrote anything for the Gangrel path, I poured through all my old material for Vampire: the Masquerade — including the TV show. I felt that matching the voice and the feel of the setting was crucial to the joke’s believability, which was part of the reason why I dropped in signature characters like Karsh, El Diablo Verde and a few other familiar faces. 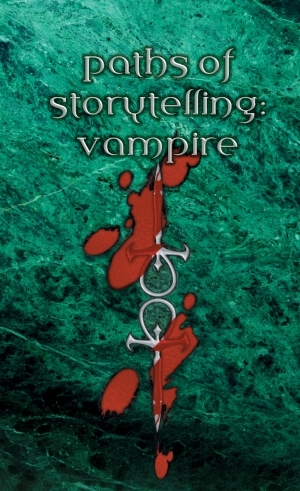 It was really fascinating for me to map out, because the goal was to introduce Vampire: the Masquerade to a fictitious reader, all the while knowing that the person most likely reading it would be someone who knew the setting. So in this path, the reader doesn’t just become a Gangrel, they get introduced to Vampire: the Masquerade. How integral was the design to your Clan? JESS: Since the most common identifying feature of Clan Malkavian is their madness, I wanted to be able to represent that in the design of the project right from the start. So the first choice (after opting to become Malkavian) that the reader is faced with determines whether they will spend the rest of their path-options dealing with Paranoia or Obsessive Compulsive Disorder. While I never specified the derangements specifically, the Malkavian paths really separated at that initial choice and each of the two paths was written as if the reader was seeing the world through the filters of their particular derangement. It made the story more challenging to create, I think. Without a lot of opportunity for doubling back to loop into previous options, I had essentially half the number of words available to get the reader from starting point to satisfactory ending. I did cheat a bit, there’s one point where the two derangements streams cross, but for the most part, the downhill slope is separate for each of the two derangement options. MONICA: After I developed a metaplot, I decided to structure the paths in a way that initially affected the reader on a personal level. Then, as the story continued, the reader’s choices tie directly into the metaplot and how the Gangrel fit into that story. If you get the chance to read through it a few times, you may see a couple of references to earlier points on the Vampire: The Masquerade Revised timeline. Many of those references are intentionally subtle to provide the reader with an immersive experience since it’s written in the second person. KELLEY: I’ve enjoyed playing Toreador in tabletop and LARP over the years and feel that most players approach this vampire archetype in one of two ways: reverently or tongue-in-cheek. I tried to touch on both with the idea of the embrace, the revelations of the Masquerade and the variety of endings taking place over the span of the same night. 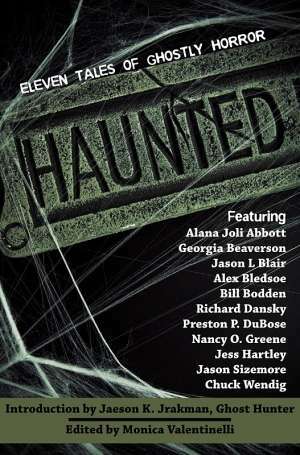 In pure soap opera format, how many bad things would you the reader have to endure in a few hours of unlife? One thing that did inspire me I while rewriting the first draft was reading the work of my fellow authors – specifically their use of signature characters for their paths. I altered some of my work to incorporate Victoria Ash, from the Toreador Clanbook revised because of their amazing contributions. Can you tell us a little bit about how your path ends? KELLEY: I got a little ‘ending happy’ I think. Each time I finished one route of Morgan’s story, another idea popped into my head. I even sent Eddy, Jess and Monica a flow chart of scenes for the Toreador path and in the end I included six possible resolutions, with the nicest one being eternal servitude to Victoria Ash. I hope that our fans think the other five endings for Toreador are appropriately angsty. MONICA: Kelley’s flow chart should have been its own download. I was seriously impressed! For the Gangrel path there are two endings; I could have easily written more, but I was running into the problem of: “But wait! I have more stories to tell and I’m out of time!” Since a few people have already mentioned it, one of the endings is a wrestling face-off between the reader and El Diablo Verde, the Nosferatu luchador. I took the phrase “No One Defeats El Diablo Verde!” and ran with it. The other ending ties back into the metaplot, but I’m not going to spoil it for you. Let’s just say I was inspired by something specific that happened a few centuries back. Given the choice, I’d take getting pummeled by El Diablo Verde over the other option. At least you know what you’re getting into when you step into the ring with that wrestling legend. EDDY: I wrote the only “good” ending, the one that results in Golconda. Of course, none of the paths actually allow you to get to it. Partially this was designed as a way to sell the joke that this was a World of Darkness product (everything has a bad outcome), but it was also a nod to the book “Inside UFO 54-40,” which also had a false end that you couldn’t get to without cheating. JESS: *chuckles* It’s Vampire – there’s no such thing as a completely happy ending! However, some of the ending options are, shall we say, more permanent than others. There’s actually one universal loop option available, which was something I really wanted to try to incorporate in. But, while some folks may be disappointed by the lack of sunshine and rainbows happy endings available, I think that each of the available endings acts as its own cautionary tale. In the World of Darkness, actions beget consequences, and sometimes you’ve got nothing but bad and worse options to choose from, meaning the consequences coming from those options are pretty bleak as well. Still, I hope that they’re interesting and exciting fates, despite the horror. 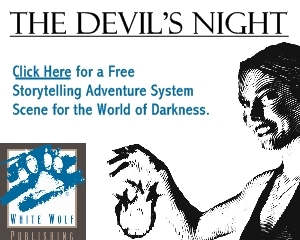 Isn’t that what the World of Darkness is all about? If you haven’t picked up your copy of Paths of Storytelling, you can find multiple e-book formats for ninety-nine cents at DriveThruRPG.com or at the FlamesRising RPGNow Shop. 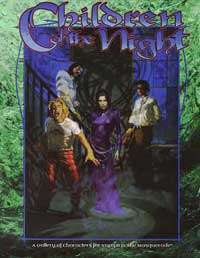 For more information about the twentieth edition of Vampire: the Masquerade, visit www.vampirethemasquerade.com.